It’s that time again when we take a look back at the biggest and most ground-breaking developments in the world of Digital Marketing. This month we cover topics such as the leaking of Google’s top 3 search ranking factors and I put into words the Studio-40 hive mind and expert opinions on what these changes mean to you and me. It’s #Gamechangers – April 2016 edition! Whilst there are countless other factors that go into ranking a website or page, this latest reveal proves that links are still up there as one of, if not the most important ranking factors in Google’s eyes. Whilst many ‘experts’ have been quick to dismiss links and claim that they have lost their power, this news proves that they’re still crucial for your website. It’s merely more confirmation that we here at Studio-40 are doing the right things for our clients and it has given us more confidence that we are on the money when it comes to Google best practice. 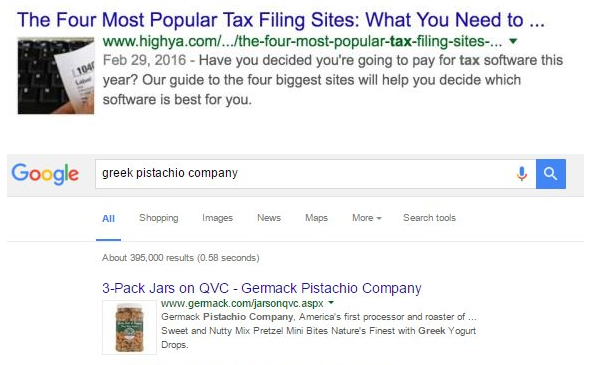 Google seem to be testing images next to search result snippets according to Barry Schwartz from Search Engine Roundtable. There are arguments that this may spell the return of Authorship (which was dropped as it didn’t effect click-through-rates) or that it may mean Image Extensions (similar to those of Bing Ads) maybe on their way to AdWords. We believe that is neither of these and merely what Barry Schwartz suggests… a test. With more information on SERPs, hopefully this will improve CTR’s and prevent a few wasted clicks. Bing Ads have begun testing social extensions that appear under search results. These extensions direct the user to the social media account connected to a website rather than the website itself. This could be a great way for businesses to promote their social channels, especially for ecommerce companies who may wish to increase their following or give users the option of becoming more familiar with their brand before directing them to the website. It could also prove invaluable for brands who utilise customer service on social media. This new tool in Facebook Ads Manager highlights poorly performing ads and offers suggestions on how you can improve them. It’s essentially optimisation automation and could either prove to be time-saving and useful or a waste of your budget. We will be testing this new tool in the coming weeks and will update you on our findings shortly. Are Google Testing New Call Only Ads? It looks as though Google are testing a new icon next to call only ads in AdWords. Whereas call only ads only previously showed a small blue icon, in the image below it seems to show a larger green one too. Whether or not this is an image extension and the advertiser has cleverly chosen another phone icon to boost CTR’s or whether it is in fact a Google test is still yet unknown but we’ll certainly keep tabs on this potential #Gamechanger! Our social media team here in the office are over the moon with this one! Facebook previously had a 20% rule on all their image ads meaning that at least 80% of the ad must have no text whatsoever. This often caused complications and social media marketers found it hard to express their message. The rule was introduced to safeguard the user experience and to prevent them being bombarded with ad text. This update means that there are no longer any restrictions. However, if an advertiser does go over the 20% rule, they will be presented with an amber warning that their post may not reach as big an audience as if it didn’t have so much text. In case you may have missed it, Twitter have introduced a subtle new button that allows you to share individual tweets directly with your followers. According to Twitter, “now — in just a few taps — you can share unique Twitter content from your timeline right into your private conversation.” It was an awfully fiddly process prior to this update and this should make it much easier for social media marketers to share content between themselves and clients. 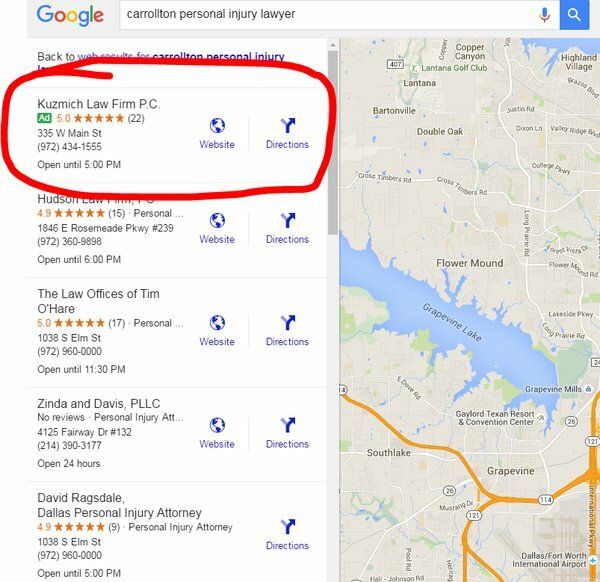 Many have noticed that ads are now appearing in the Local Finder results on Google Maps. This means that companies with local listings can still appear in these results even if they are not featured in the normal three-pack. We believe this is great news for those who have multiple business locations as there is a more of a chance to compete when advertising. How Long Does It Take For A Link To Have An Impact? This is an article that we thought was an interesting read! Kristina Kledzik from Moz discusses how long link building takes before changes can be seen in rankings. As looked at in last week’s addition to this blog, Google still considers link building as a major ranking factor so this is still a crucial SEO technique. But how long does this take? 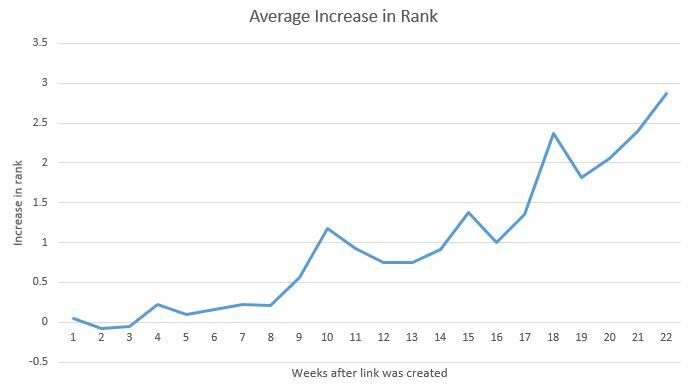 Overall the experiment found that It takes 10 weeks on average to see 1 rank jump. 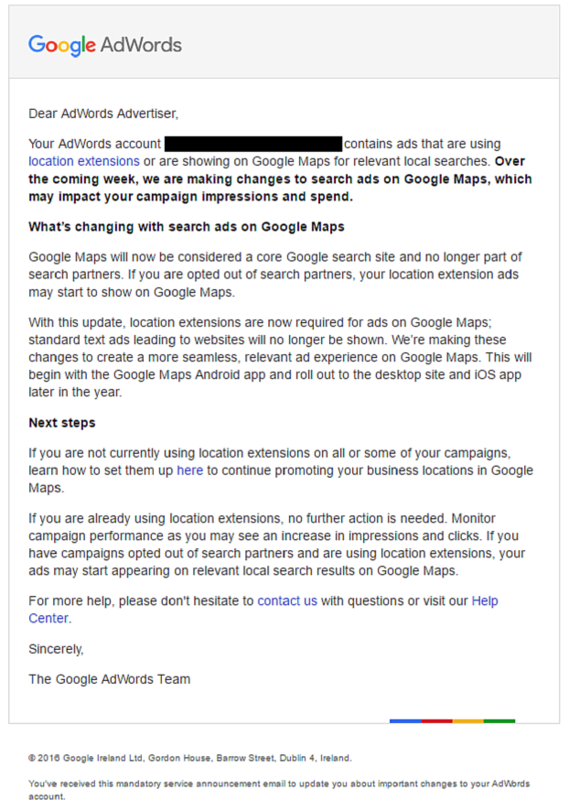 There are now AdWords logos next to each campaign in Google Analytics which links to the same campaign within AdWords. A new Sitelinks report in GA’s AdWords reporting section includes data for actual clicks on the sitelinks rather than just when the ad is clicked on and a link is present. 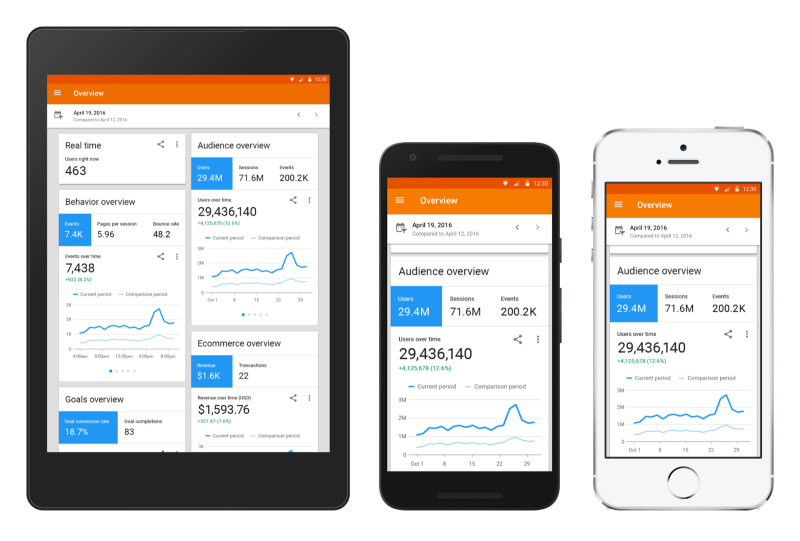 Hopefully we will see more reporting features added into Google Analytics in the future. 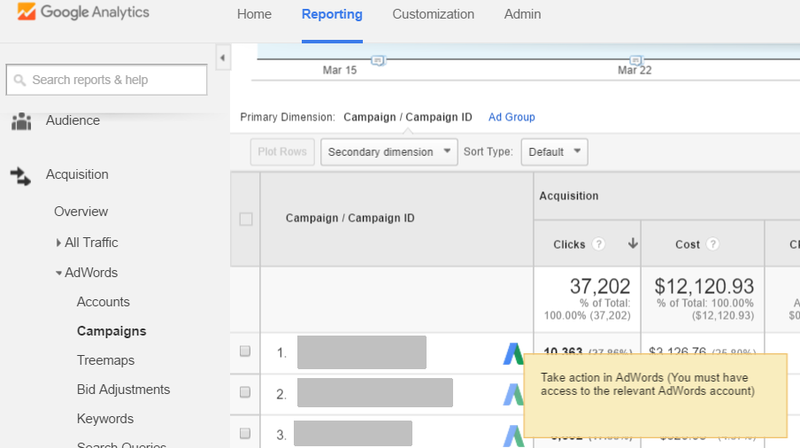 This will make it much easier to create reports rather than having to switch between two tabs showing both Analytics and AdWords. Bing Ads has now added call and review extensions. This is a much-needed addition to the ad platform and will enable advertisers like ourselves to make an ad much more appealing to users. 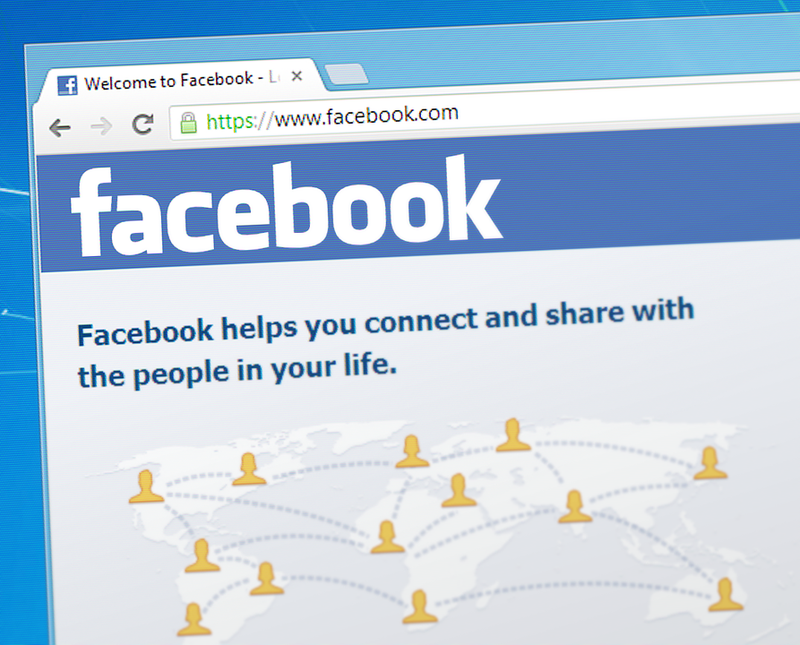 As for some social media news, we have seen that Facebook are now taking into account the time it takes for users to read content that is not on Facebook itself. They are basing this measurement on the time after someone has clicked a link. This is another part of Facebook’s aim to get user’s feeds only featuring quality content that they want to see and reduce the reach of clickbait stories. In effect, this means that content that is produced needs to be of high quality and you should see users spend more time reading the material. 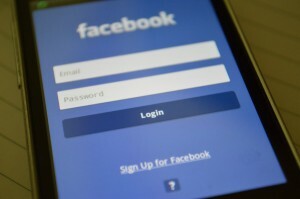 This then signals to Facebook that the user should be shown more of your content in the future. This test supports the argument that Google results page is slowly becoming overtaken with ads and one day we could see SERPs totally paid. Although this may not be good news for SEOs who are after organic results, this is great news for paid search. This enables those setting up ads to write a more detailed description and, in turn, be more likely to attract click-throughs. However, we’ll be keeping an eye out to see if this change becomes official in the near future. Visible PageRank is now a thing of the past! 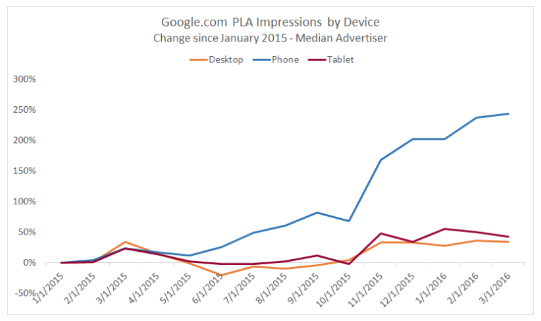 Google announced that they were starting to turn off their metric back last month. But many users have now noticed that PageRank within the toolbar has finally been removed. 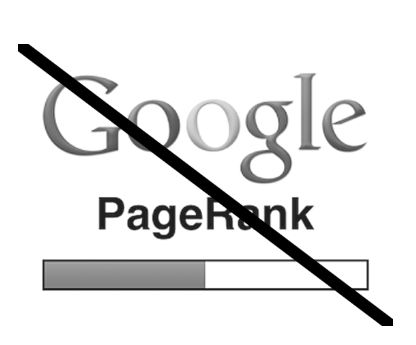 So RIP Google PageRank! An interesting insight into the rise of Google Product Listing ads. Research shows that since they were launched back in 2011, Shopping Ads have accounted for 43% of all retailers’ search ad clicks and 70% of non-brand clicks. 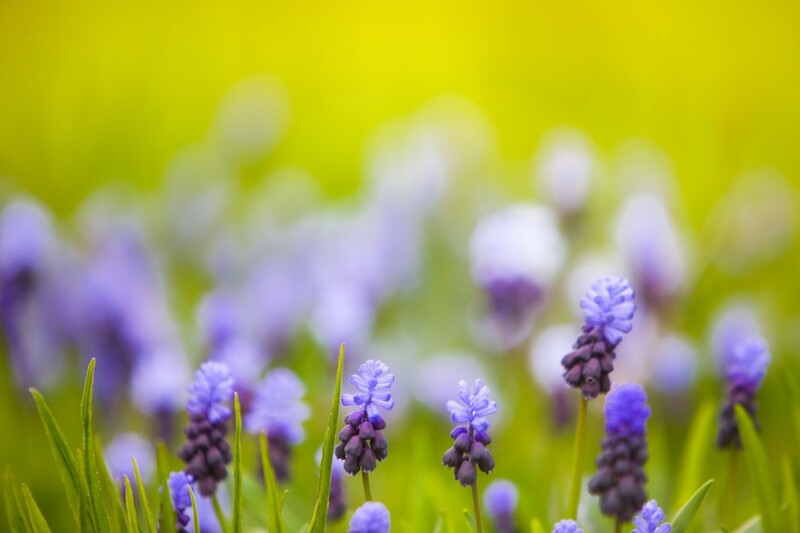 *This article is updated weekly throughout April 2016. Check back for more content.